As promised here are a bunch more links that I hope you will find interesting and useful. Lynn Langit (@llangit ) is a developer evangelist at Microsoft who has a passion for education as well. In a recent post she talks about Volunteering as a Comp Sci Teacher – How To It’s an interesting look at how to volunteer to teach and what it is like for a professional developer type to do it. Also check out her Teacher-for-a-Week post that tells the story of her recent experiences at the Girl’s Middle School. Looking at Windows 7? Highly recommended. If you are or if you have it check out 67 Windows 7 tips, tricks and secrets I found things I didn't know here. Some cool stuff! I’m a big fan of FIRST Robotics. The regular season is over but I found this list of FIRST Robotics post-season events run by local teams. If you haven't been to one you should go and see one. From @CapstoneEdu is an interesting looking conference event event May 6th in Cambridge, MA. Register: http://bit.ly/a1sWJb They really need more real educators to show up and make sure they don’t go too far afield I think. The @scratchteam has a new video with an overview of Scratch 2.0. I twittered up quite a storm last week. Much of it was because of the US Imagine Cup which I was also blogging a lot about. I was also putting updates on the Microsoft Facebook account. The Imagine Cup was flat out busy but much fun and much excitement for me as well as all involved. I did find a bunch of useful links to share though. I apologize for them being so late this week but, well, I was busy. U.S. Imagine Cup Winners Celebrate Victory, Share Inspiration with James Cameron and Craig Mundie from Microsoft Presspass. Bill Gates blogs about the Imagine Cup which is one of his favorite events. Looking for girls in technology? One of the very interesting people I met at the US Imagine Cup was Genevieve L'Esperance Geek girl and video blogger. Gen is a teenager from Montreal, Quebec. Gen has a bunch of video posts and interviews on her blog GenINC. Garth Flint has an interesting review of of programming languages and their usefulness in first CS courses. 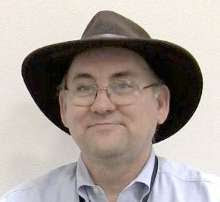 You may also find his discussion about what makes a good first programming language to be interesting as well. Garth’s blog is new but its off to a great start. I recommend subscribing. A couple of workshops to recommend. There will be a workshop on Alice at Texas A&M University – Corpus Christi in June. And a High School (AP) Computer science teachers workshop at Carnegie Mellon Judith Hromcik is one of the presenters at CMU. I’ve known Judy for years and there are few people who know more about AP CS than she does. I’ve got still more to write up but they’re going to have to wait for tomorrow. If you have been reading my blog (or following on Twitter @AlfredTwo) you have been reading about the US Imagine Cup finals. Hopefully you have found some interesting things and maybe becoming interested in getting involved if you are a student or presenting the idea to your students. If so I want you to know that there are some events in the worldwide Imagine Cup that are still open to entries. One of the events that excites me the most is the Windows Phone 7 Rockstar Award. To win the Windows Phone 7 “Rockstar” Award, your team is challenged to create a Windows Phone 7 application (app) in either Silverlight or XNA Game Studio. This app needs to be designed with the consumer in mind and should be as visually compelling as possible. Be prepared to demonstrate your team’s app entry running on an actual Windows Phone 7 device or in an emulator. Mobile applications are “all the” buzz today. Windows Phone 7 is a revolutionary new platform and you have the opportunity to be a part of it. This is your chance to think of something that is truly outside the box and be one of the first developers, ever, to be building apps for Windows Phone 7. Create an app that people will love having on their Windows Phone. And of course there are prizes! First Prize: $8,000 USD, a trip to the Worldwide Finals in Warsaw, Poland from July 3-8, 2010, and a Windows Phone for each team member. Get full information about the competition at the Windows Phone 7 Rockstar Award site. BTW DreamSpark has partnered with Windows Marketplace for Mobile so you can sell your mobile applications! Go to DreamSpark to learn more! Today I have a presentation to give around mid-day and then I go home to pack for a trip to Washington DC for the US finals of the Imagine Cup. Ironically last year’s finals was in near by Boston/Cambridge but I had to miss it to attend a meeting in, you guessed it, Washington DC. This year I get to go. We’ll see the selection of the top Software Development Invitational team who will get to go to the world wide Imagine Cup finals in Poland this summer. We will also pick the best (of the 10 finalists) in the US game development addition. Some of those teams are moving through the final rounds of the world wide competition which is running in parallel. Yeah, its different. There is also a people’s choice voting for the Software design category. Visit the People’s Choice Video Gallery and vote for your favorite. Next Monday we will be running a community showcase April 26, 2010 from 9:00 AM – 2:00 PM, at the Newseum in DC. Read about the Imagine Cup community showcase here and please come by if you are in the neighborhood! I’m really excited to see the Newseum BTW. From all I have read and heard it sounds like a very interesting place. I’ll be twittering a bit – we’re using the hash tag #ICUS10 for US Imagine Cup related tweets. Several others should be tweeting as well. I’ll be posting updates on Facebook and I plan on blogging news here at the end of the day. So I may not have a post Friday because of travel (but I may – we’ll see) but you should see posts on Saturday and Sunday with a wrap up on Monday. Microsoft has just released a new free Silverlight 4 Training Kit that walks you through building business applications with Silverlight 4. You can also download the entire offline version of the kit here. You can use the 8 modules, 25 videos, and several hands on labs online or offline from links on the Channel 9 site. The key to this training material is not the features it covers (though it covers a variety them) but rather that it teaches from the perspective of building a business application. The Silverlight 4 Training Course includes a whitepaper that explains all of the new Silverlight 4 features, several hands-on-labs that explain the features, and a 8 unit course for building business applications with Silverlight 4. The business applications course includes 8 modules with extensive hands on labs as well as 25 accompanying videos that walk you through key aspects of building a business application with Silverlight. Key aspects in this course are working with numerous sandboxed and elevated out of browser features, the new RichTextBox control, implicit styling, webcam, drag and drop, multi touch, validation, authentication, MEF, WCF RIA Services, right mouse click, and much more! It really expects some previous knowledge of Silverlight but I’m going to give it a whirl myself anyway. I was invited to be on a panel at Northeastern University (I was a last minute fill-in but happy to attend) talking about Teaching With Technology. Now the difference between teaching technology and teaching with technology is a big one. And important one. I’m big on both but honestly think that teaching with technology is a better way to teach technology than teaching technology for its own sake. The panel was taking and discussion questions based in large part on the keynote presentation by Don Marinelli from Carnegie Mellon’s Entertainment Technology Center which Don co-founded with the late Randy Pausch. We had an hour scheduled for the discussion but we could have gone for hours. Really hours without repeating or running out of questions and discussion topics. The discussion was lively and, for me at least, very engaging. I see this with just about any panel I attend either in the audience or as a panelist. I also see “more time to network and talk with colleagues” as a major bit of feedback for most of the educational conferences I am aware of. If you’ve been to some of the major edtech conferences (TCEA and ISTE for example) you will see long conversations in the halls, outside the meeting rooms, at blogger cafe’s and just about any free space. People blog and twitter about these conversations being the best part about some conferences. Why? Because teachers just don’t have enough time to talk with their peers in their daily work lives. Yet talking with ones peers is a wonderful way to learn new things, share ideas, ask weird but useful questions, and generally develop oneself as a person and as a professional. But teachers are locked up isolated in their classrooms most of the day. faculty lounges while occasionally helpful have limitations. Too little time in them for one thing. Too many other things going on it them. And all too often a slightly toxic atmosphere in the schools that could most benefit for helpful learning. So what to do? I recommend blogging and twitter. Yes you have heard this from me before (well unless you are new to my blog. :-)) If you are looking for a more scholarly set of reasoning check out Rationalizing Academic Blogging by Mark Guzdial who is a tenured professor at Georgia Tech. Start with reading them and adding your input to the discussions. Really the comments are often the very best part of a blog post – especially with this blog. Then think about writing your own blog. You know stuff or you wouldn’t be a teacher – share it with others. Come on and join the conversations. You know you want to! Michelle Hutton of the CSTA posted a good blog roll at the CSTA blog. 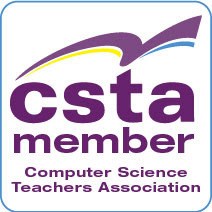 You are following the CSTA blog right? For teachers in all areas there is a great list of blogs at the Moving Forward wiki. Start with Education blogs by Discipline and when you create your blog make sure you add it to the list. Yes this is another repost but I really think these blogs deserve more link love and attention from search engines. And from you to. Well it is official – the final release of Visual Studio 2010 is not available. If your school has an MSDN AA account you can download it from ELMS now. If you don’t have MSDN AA, why not? Also for students who are part of the DreamSpark program you can download Visual Studio 2010 from there as well! For everyone, the Express editions are also now available as free downloads/net installs from the Visual Studio Express Editions web site.